From the gruff, sword-toting swashbucklers of the Middle Ages to modern adventure epics like The Princess Bride, the aura surrounding the sword is one that is both romantic and pragmatic. Thoughts of this weapon bring to mind images of the Knights of the Round Table, Zorro, the Three Musketeers―the things daydreams are made of. Historically, the fate of the empires revolved around the sword; nations rose and fell based on the power of their swordsmen. For centuries it was the weapon of choice in settling personal disputes. Today, the art of sword fighting has been incarnated as the dynamic, chess-like sport of fencing. It has also played an important part in the history of theatre and film, and it has been part of literature for as long as there have been books. 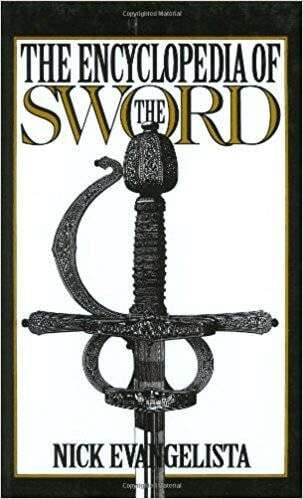 In its varied guises, the sword has for centuries figured in the world's varied cultures, myths, and politics. Yet, there has never been a comprehensive volume on the subject of the sword until the publication of this encyclopedia. For the first time, in a single volume one can locate information on the history of sword types and styles around the world; techniques of combat sword use; techniques and styles of modern sport fencing; names and descriptions of various fencing implements and weapon types; swashbuckler films and the fencing masters who influenced the genre; significant individuals who have taught sword use; the sword at the Olympics; the literature in which the rapier, foil, or broadsword has figured; and much, much more. Essential reading for fencing and military history enthusiasts. NICK EVANGELISTA is a Fencing Master who was trained in Europe and the United States and who teaches both sport and theatrical fencing. In addition, he is a freelance writer and has been a fencing technical consultant to the film industry.